The year was 1998 and Danepak had a line of classic dry cure bacon they needed to flog on UK television. 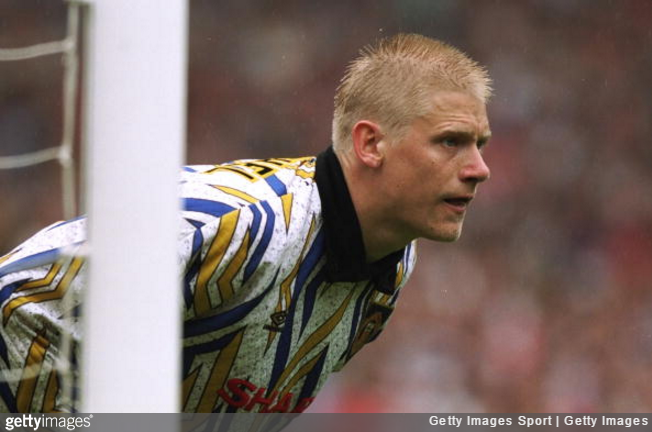 Obviously, the advert in question was for Danish produce and also involved singing so Peter Schmeichel, Manchester United and Denmark goalkeeper and the son of a concert pianist, was the obvious choice. Schmeichel took a bit of a ribbing over his deadpan, nigh-on monotonous vocals at the time, but the United stopper had a good reason for sounding a little off-key. I remember that we had to record his vocals on set in Denmark first thing in the morning prior to shooting. We set up a mobile recording studio in a hotel room and Peter came in very much worse for wear, as he’d had a rather big night the previous evening. So it wasn’t the ideal environment for vocal. Nevertheless, he handled the whole thing in good spirits. Apparently the original jingle was tune supposed to be sung to the tune of ‘Ernie (The Fastest Milkman In The West)’ but Benny Hill’s estate flat-out refused to relinquish the rights, ergo ‘When I’m Cleaning Windows’ was used instead. Yes, that’s what Schmikes is supposed to be singing. Regardless, the whole thing was so successful that Danepak actually commissioned a sequel a decade later, with Schmeichel reprising his lead role in 2007. Never has a man looked more at home wearing an entrail-proof apron.